The Natural Resources Division consistently maps & surveys area lakes to ensure access to up-to-date data on lake vegetation to inform management decisions. These surveys also provide a wealth of additional data which help keep staff informed on the unique character of our many lakes and how they are changing over time. In addition, regular surveys help to efficiently and responsibly manage invasive and nuisance vegetation. To view Bathymetry maps (showing detailed depths and fishing holes in each lake) of our lakes produced from these surveys click here. Individual bathymetry maps are available and can be printed from our Lakes web map application. Additionally, staff closely monitors lake water quality on a quarterly basis based off of sampling performed by Polk County Natural Resources Division. 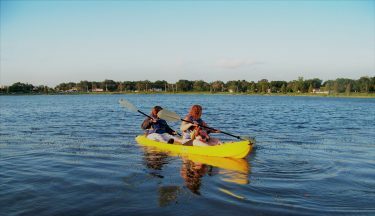 For more information on lake water quality please visit Our Lakes Page. 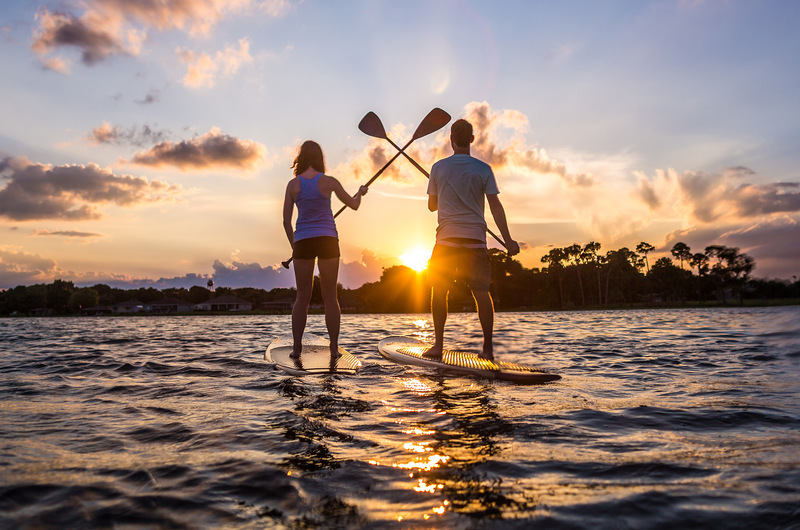 National Pollutant Discharge Elimination System (NPDES) report is a federal requirement that arose from the Clean Water Act managed through the FDEP. Its goal is to regulate discharge into public water bodies and reduce the amount of pollutant discharged. 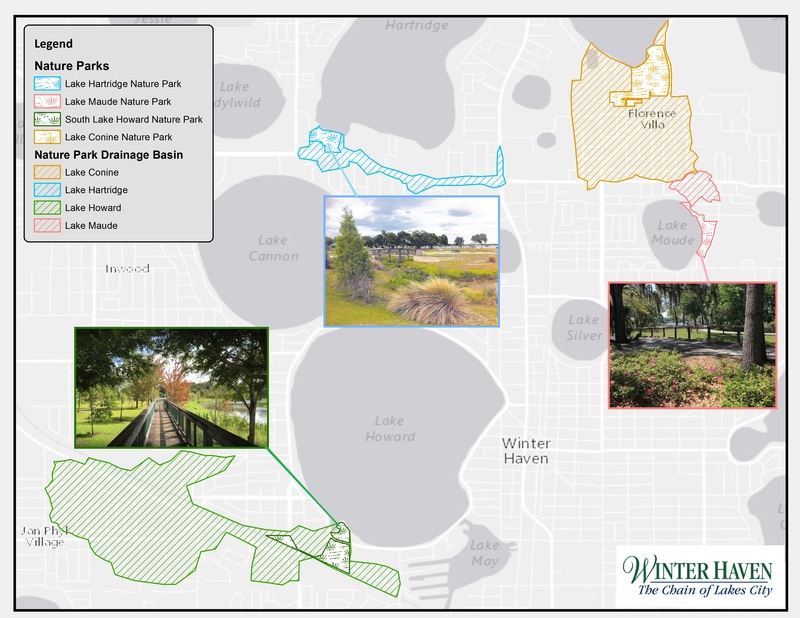 To ensure compliance, data on stormwater infrastructure, public outreach, and Best Management Practices (BMPs) is collected and updated annually. Staff also takes an involved role that goes above and beyond compliance by ensuring stormwater systems are managed effectively. 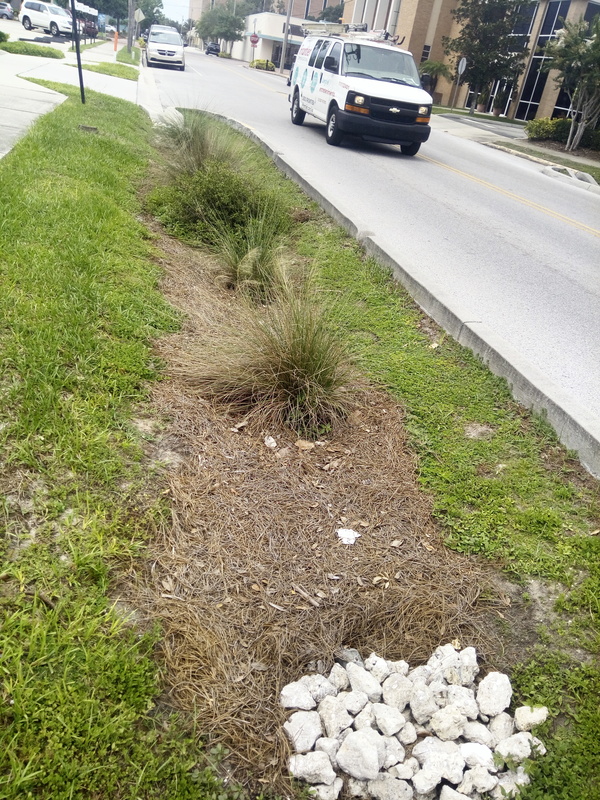 This is achieved by maintaining a complete inventory of stormwater pipes and outfalls to prioritize efficient maintenance, as well as through the establishment of Low Impact Development (LID) stormwater solutions such as rain gardens (see below). 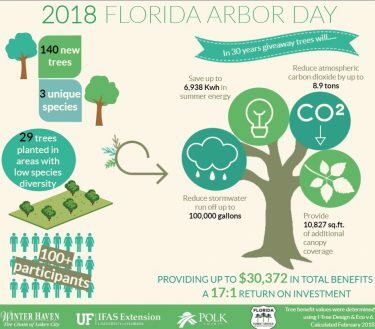 Trees are a key natural resource that can help improve property values for the community, incentivize commercial development, reduce A/C costs, reduce stormwater runoff and flooding, and provide valuable habitat. Urban forestry is the practices and policies which care for public trees. The division takes an active role in working with the Urban Forest Advisory Board to ensure these resources are managed effectively. A key tenet of the Division’s values is to provide solutions that benefit the economy and community as well as the environment. Rain gardens are another LID practice that improves water quality and quantity. 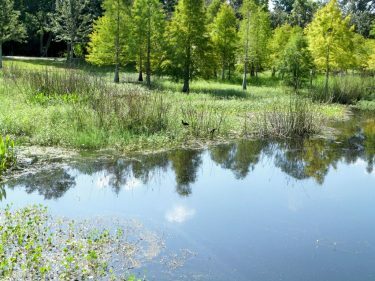 They work by directing rainfall to a small infiltration area designed to absorb rainfall through several soil layers to eventually infiltrate into the Florida Aquifer (where we get the majority of our drinking water). The division also provides multiple opportunities to engage with the public and provide education & outreach on our natural systems and resources. 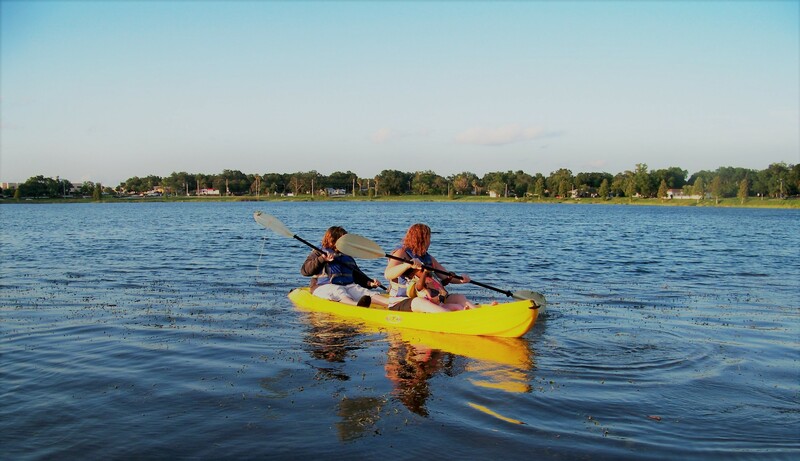 These include participation with our Parks, Recreation & Culture department to provide kayaking lessons, watershed education, and boating tours to summer youth camps, as well as offering kayaking lessons & nature tours at special events throughout the year. Upcoming special events will be announced on the City’s news feed.